Christmas classic “Sleigh Ride” owes its inspiration to the sauna-like glare of the August sun of 1946. Perhaps seeking the equivalent of the newly invented air conditioning wall unit, American composer Leroy Anderson collected his coolest thoughts that summer, envisioning a man so enticed by a prairie laden with fresh snow that he asks a loved one to join him for an outdoor adventure. To begin his illustration, the thirty-eight year old son of Swedish immigrants looked to a set of handheld jingle bells, then continued to draw by boldly snapping the reins on a team of percussive tricks. Over the course of the two-and-a-half minute ride, he utilized xylophones, clapboards, and woodblocks, each taking the driver’s seat alternately, peaking above the broad shoulders of a bossy blend of brass and strings, until the carol reached its throatiest point. Then the horse, fatigued from the breadth of the snowy spin, arrestingly rears its forelegs, a final flair made possible by none other than the principal cornet player. And although these elements would not be fully integrated until February, 1948, it is due to the sultry character of those August afternoons that a ticket to Anderson’s “Sleigh Ride” can still be pressed into chilly palms annually. “Most good things happen with time,” Black Flag lead singer Greg Ginn once said, adding, “especially music, which needs time to breathe and to find its own way.” This is true, of course. Yet, it not only holds value for those involved in music, but to those who create a place where life’s music can evolve. It is pertinent to neighborhoods where children are newly introduced to others of the same age. It applies to their friendships as the roots dig deeper. Last, it is vital to those who survive with their roots still intact, strengthened by thickened stalks and branches that reach for the sun, that they value their own connections when blending into a harmonious business unit. The neighborhood, which spread from the Chicago River to an area slightly beyond North California Avenue, was mainly populated by southern Italians and Sicilians, and “was to Italians what Milwaukee Avenue was to Poles and Lincoln to the Germans.” Its southern border was Chicago Avenue. “Alex just got in the restaurant business. I don’t want to say it was an accident, [but] the person who owned this building approached Mr. Dana thirty-five years ago and asked if he was interested in opening up a restaurant. And that’s how The Rosebud became The Rosebud. It used to be called Binleder’s before. 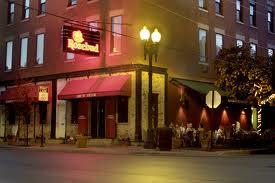 Thus began the tale of the Taylor Street mainstay that marks its fortieth birthday within two years. Since opening its doors, it has hosted generations of performers ranging from classic crooners like Frank Sinatra and Tony Bennett (with whom Mr. Dana has a friendship) to sports figures such as Mike Tyson. Joe Pesce has twirled pasta made in the Italian-inspired kitchen, former mayor Richard Daley has entertained elite politicos in its elegant environs, and historical figures like Robert Kennedy have sat on its barstools. “I can’t think of all of the people who have been here!” Danny exclaimed. Partner Alex Dana still continues to reach into other Chicago neighborhoods, now that Rosebud on Taylor is in full bloom. To date, the Rosebud moniker is employed on a downtown steakhouse, a trattoria, and Streeterville favorite Carmine’s, in addition to Rosebud’s suburban branches. Each stands as a testimony to Danny’s longstanding relationship with Mr. Dana and what grew from the combination of their entrepreneurial spirits. Taking a moment to reflect on gentrification’s effect on Taylor Street, which has evolved from an ethnically proud, working class neighborhood to an area populated by BMW-owning Yuppies, Rosebud partner Danny Miller proffered a simple statement to explain the wild success of the establishment whose name was inspired by the legendary sled. “We have been very, very lucky,” he smiles, exhaling agreeably. Considering that twelve years is the average lifespan of most successful restaurants, he and Mr. Dana have truly been lucky. They have survived as many of the hospitality industry’s ups and downs as sled-riding children experience while repetitively towing their toys uphill during an early snowfall. Given the virtues of time and maturation, they have successfully created a place for people to celebrate the music of life also. 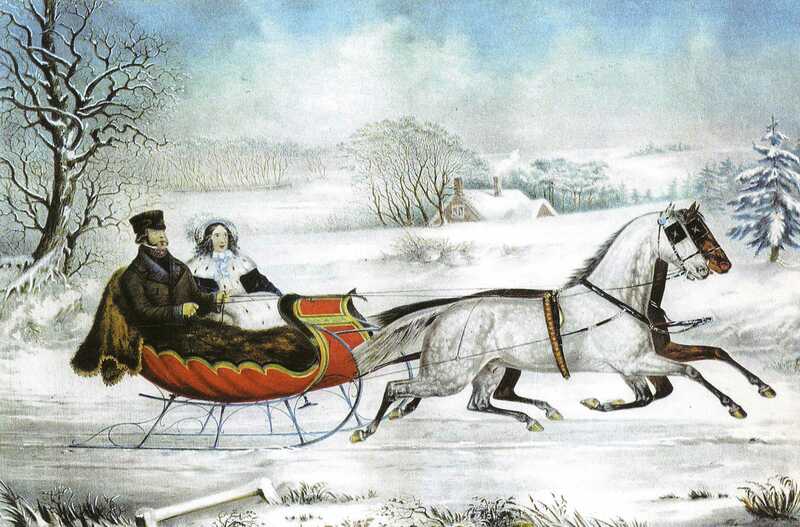 And to consider those who have walked through the front door over their forty-year tenure, it can be said that they capably managed the ups and downs of business, remained a vital part of the community, and continue to take all who climb onto their seats on a wonderful Sleigh Ride. In the late 18th Century, on the happenstance occasion when a child’s curiosity grew so bold as to wrest his self-control, leading him to press open the squeaky-hinged door leading to the family parlor, he would witness an odd exchange of hands taking place among the elders in the room. Focusing his young eyes forward, he would observe a card dealer posted at the head of the table leading everyone with an ante of six red chips, each colliding musically as they struck in the center. Challenged by the staccato nature of this jingle, all others at the table would then ante four of their own, resulting in a slightly louder variation of the first overture. 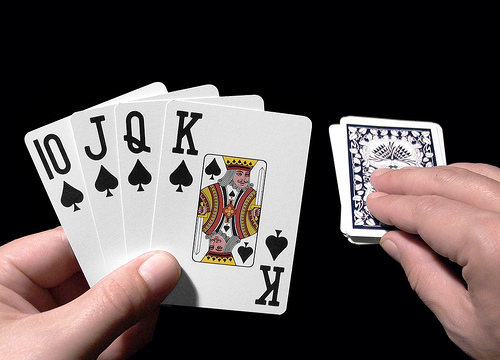 Next, the dealer would distribute the playing cards in provisions of three per participant, each faced down, before flipping a card whose suit would serve as trump throughout the round. A lively roundabout would subsequently ensue: passing of cards to the left, spirited bidding wars, more passing to the left, more lively bidding, large stacks of cards being purchased and slid beneath others, even more vigorous bidding, and then the resultant gasp of surprise and frustration from the first gambler to reveal a Jack or a Five, punitively requiring him to add more red chips to the growing bidding pot. Finally, as the child would begin to tire and retreat to the door through which he had entered, he would be awakened by a scream of joy. His attention newly arrested, he would return his eyes to the table in time to watch as one player amidst the adult congregation revealed the round’s highest trump. Spotting the smiling victor as the cacophony of retracted chips filled the parlor, the adolescent would again reach for the brass doorknob, his curiosity satisfied. Behind him, a rejuvenated, choppy symphony of antes being thrown and conversations re-igniting would sing through the air, as a new dealer refreshed everyone’s hand for a new round of the game called “Speculation”. Speculation is natural. Similar to those who inhabited the parlors of the late 18th and early 19th centuries, humans tend to reflect on matters for both profit and entertainment. Traders gather en masse within the halls of a Wall Street’s Board of Trade to ferociously buy and sell company stock. Dedicated gamblers commute to Las Vegas casinos to contemplate the spin of a roulette wheel or the toss of the tie. 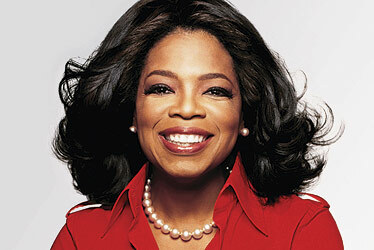 And, locally, Oprah Winfrey-loving tourists pilgrimage to her erstwhile “Harpo” studio, reflecting on its grandeur. Still as popular as ever, the Mississippi-born entertainer made a lasting impression on worldwide cultures, her in-town presence necessitating the capitalization of the “O” in “Chicag’O’”. As history proves, great success would be due Ms. Winfrey, who would ambitiously navigate foreign waters once The Color Purple was in the can, from producing the film adaptation of a favorite book, Beloved, to teaming with Chicago restaurateur Richard Melman to create The Eccentric, a bistro snugly nestled between northbound city Wells and LaSalle streets. But with recognition came an assured need for great organization, and with that, the need to assemble an entire staff to direct. And to occasionally treat to a special lunch, as well. “Oprah really helped us to become successful,” stated Rosebud On Taylor’s restaurateur Danny Miller.” She used to come in here all of the time and would talk about us on TV. She’s a good-hearted person, too. She used to call from the studio and order lunch [for her entire staff]. There was a cafeteria [at Harpo Productions], and they would close it. I’d bring the food, a couple servers, and a few busboys to pass it out. When I asked her assistant if [Oprah] wanted anything, she would only ask for a piece of tiramisu. It is common knowledge by now that Ms. Winfrey’s final show aired on a stormy afternoon in the waning days of May, 2011. As a steady rain fell from Chicago-area skies, the host of America’s favorite AM broadcast hugged companion Stedman Graham for one final time under the studio lights as the airing wheezed for breath. Outside, the rain continued, almost as if a team of angels were overhead, crying along with Ms. Winfrey and her worldwide studio audience. It was certainly an ending that no amount of speculation would ever have surmised.